DOUBLE SIDED TERRYCLOTH DESIGN - Absorbent terrycloth offers great protection from mealtime accidents. These bibs also have an extra layer of absorbency between the terry layers for even more protection. SWEET SAYINGS EVERY DAD WILL LOVE. 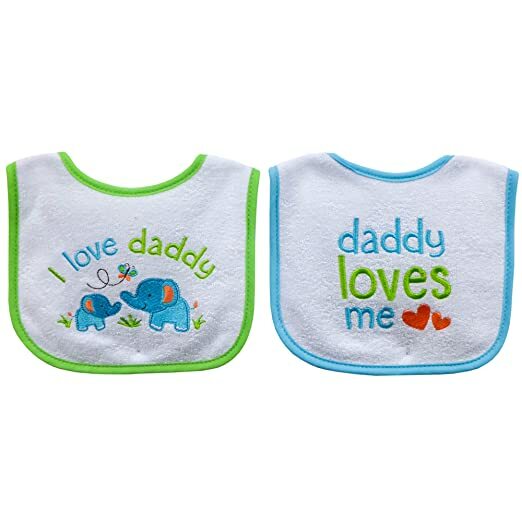 These bibs are embroideried with adorable paret/baby animals and loveable sayings.